Soup! You can wake me up in the middle of the night for a bowl of homemade, hot and delicious soup! To me it’s the ultimate comfortfood; warming, tasty and simply yummy. I often take a homemade soup with me to work for lunch. I have a fantastic container to take away my lunches, the Bento-box from Aladdin. It’s a double-walled container which keeps your lunch warm (or cold!) for a few hours. The lid closes perfectly and doesn’t leak. Back to the soup! Somedays I have plenty of time to spend in the kitchen making a soup for next days’ lunch, but sometimes I’m in a bit of a hurry. Those are the days I grab back to my EasyPeasySoup-recipe, with deepfrozen peas and coconutmilk as the main-ingredients. Therefor I always have a bag of peas in the freezer and I always have some cans of coconutmilk in the pantry! The soup is ready within 15 minutes, so I can even make this one in the morning before I head off to work! Heat a little oil in a soup pot and fry the onion together with the garlic. Add the 2 cups of frozen peas and give it a stir. Add the vegetable stock (about 300 ml) and bring to the boil for about 10 minutes. 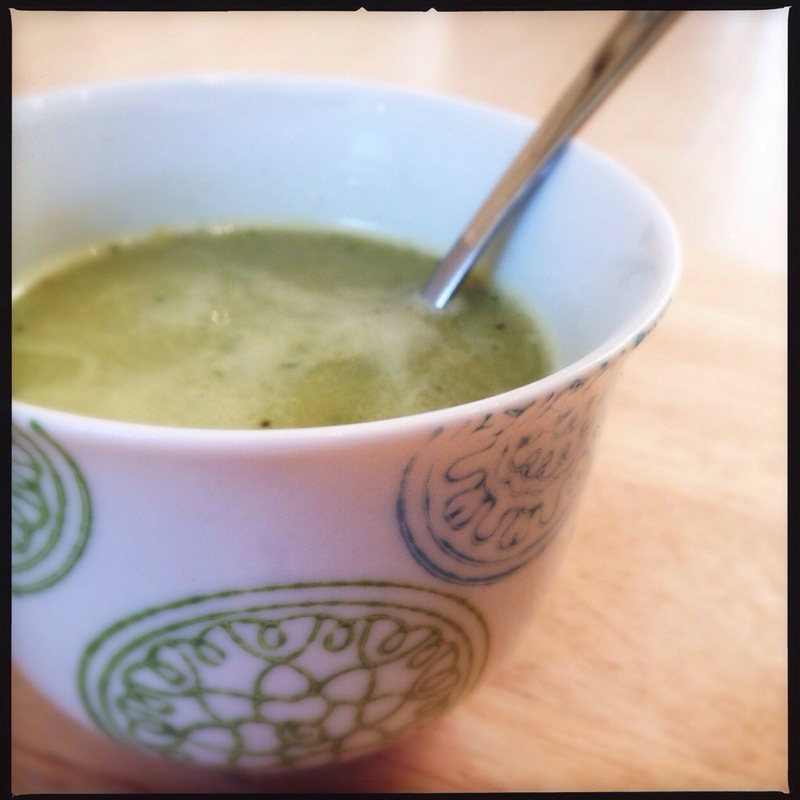 Blend into a soup by using a handmixer (or a blender). Add 100 ml of coconut milk and a handful of fresh mint leaves, blend again and your all done! You can add some black pepper to taste! A super siple, yet delicious soup! Posted in Lunch, recipes, Soup, VeganTagged comfortfood, dairyfree, fit, food, glutenfree, glutenvrij, healthy, healthy living, herbs, lunch, natural, recipe, soep, soup, soyfree, sugarfree, suikervrij, vegan, vegetables, vegetarian, veggie, veggies, zuivelvrijBookmark the permalink.